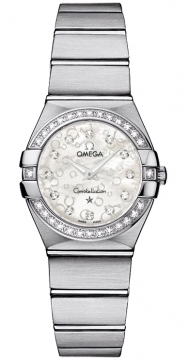 Buy this new Omega Constellation Brushed 24mm 123.15.24.60.55.005 ladies watch for the discount price of £3,564.00. UK Retailer. 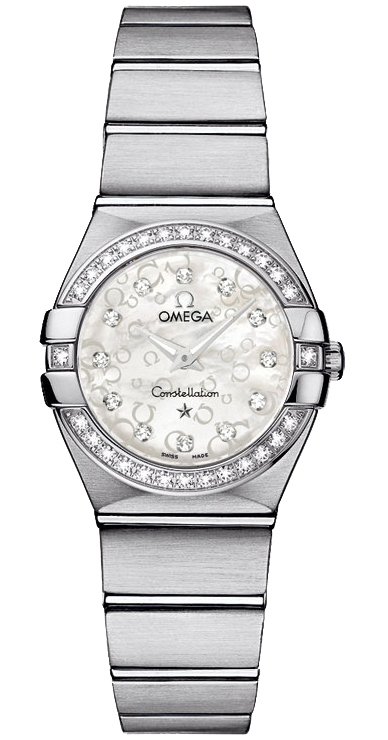 White mother of Pearl dial with an Omega symbol design.